'First in the Field', SR poster, 1946. 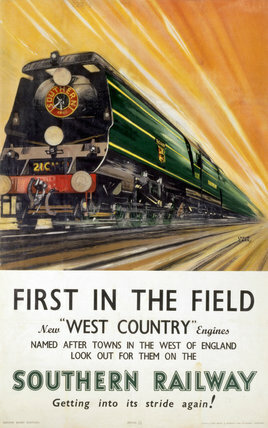 Poster produced for Southern Railway (SR) to promote the company's new West Country Clas engines, and the return of normal rail services after World War II. Artwork by Leslie Carr.